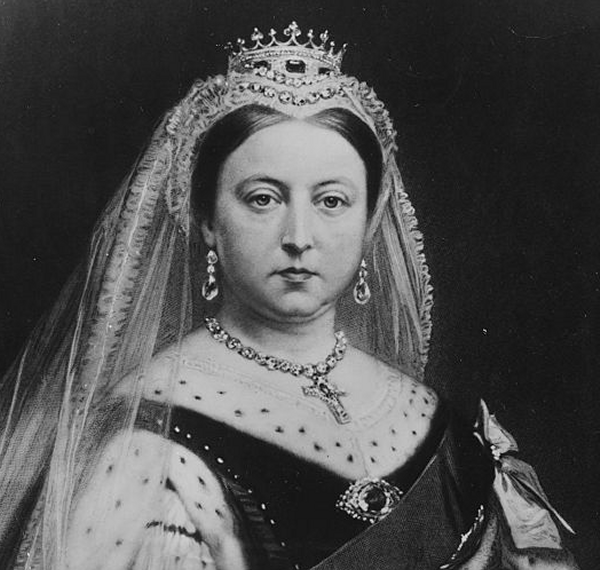 Queen Victoria wears her sapphire coronet (with the coronation earrings and the Koh-i-Noor Brooch) while in mourning for Prince Albert; learn more about the tiara over here! 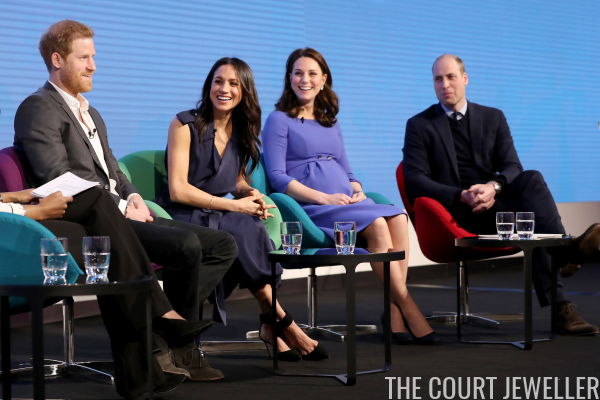 The Duchess of Cambridge and Meghan Markle joined the Duke of Cambridge and Prince Harry on Wednesday to discuss the work of the Royal Foundation, and each wore a bit of sparkle for the occasion. As February winds down today, it's time for another look at the month's magnificent birthstone: the royal purple amethyst. 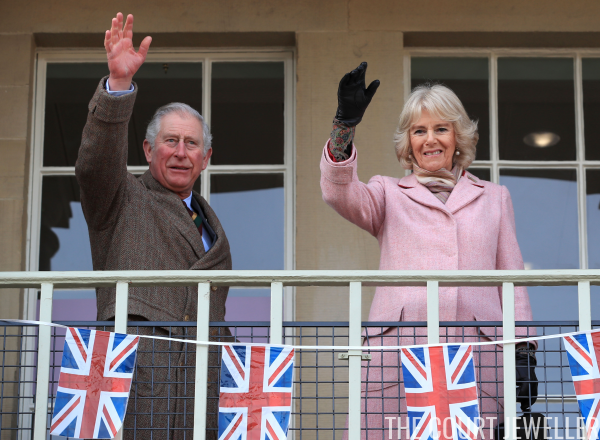 Lots of royal collections include impressive examples, some with major history. Here's a roundup of some of our best posts about the gemstone! 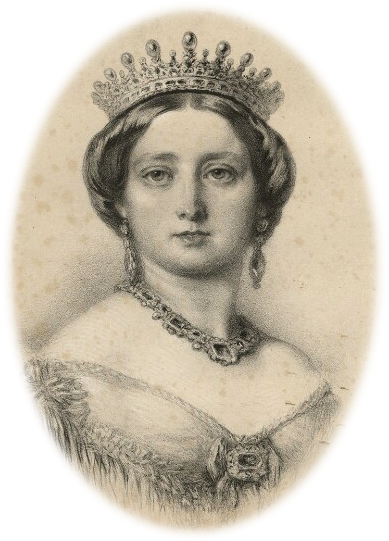 Queen Victoria of the United Kingdom wears her emeralds in a portrait, ca. 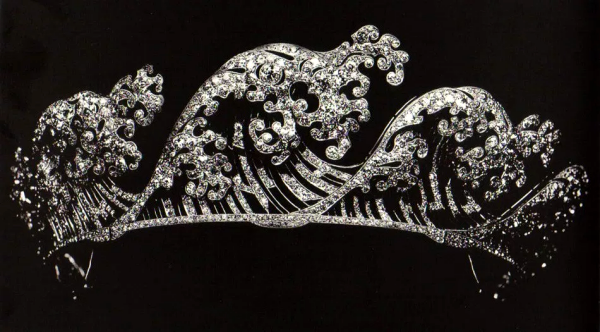 1860; read more about the tiara over here! 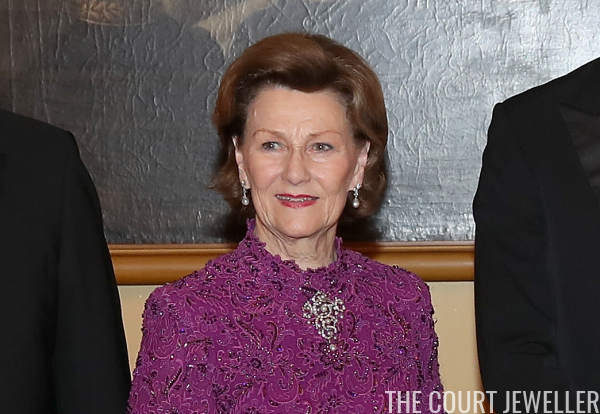 One of the prettiest, most wearable sets of royal amethysts belongs to a very bejeweled Danish princess. 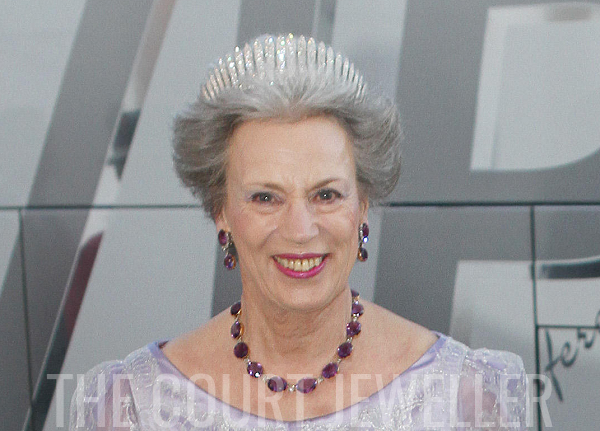 Here's the history behind Princess Benedikte's gorgeous amethyst demi-parure. 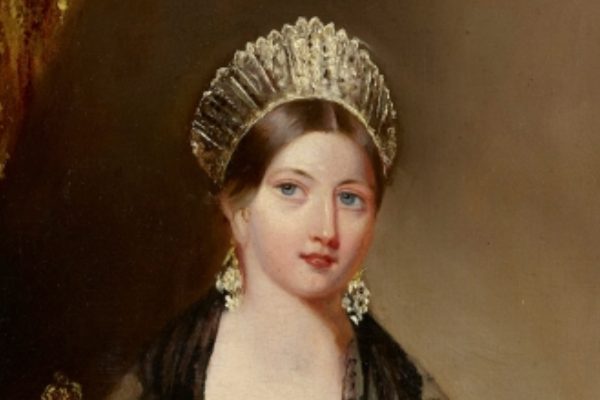 Queen Victoria of the United Kingdom wears Queen Adelaide's Diamond Fringe Tiara in a detail from Edmund Thomas Parris's Queen Victoria at the Drury Lane Theatre, November 1837; read more about the tiara over here! Every year, Princess Marie of Denmark, our Magpie of the Month, joins her husband and in-laws for the New Year's Levee in Copenhagen. 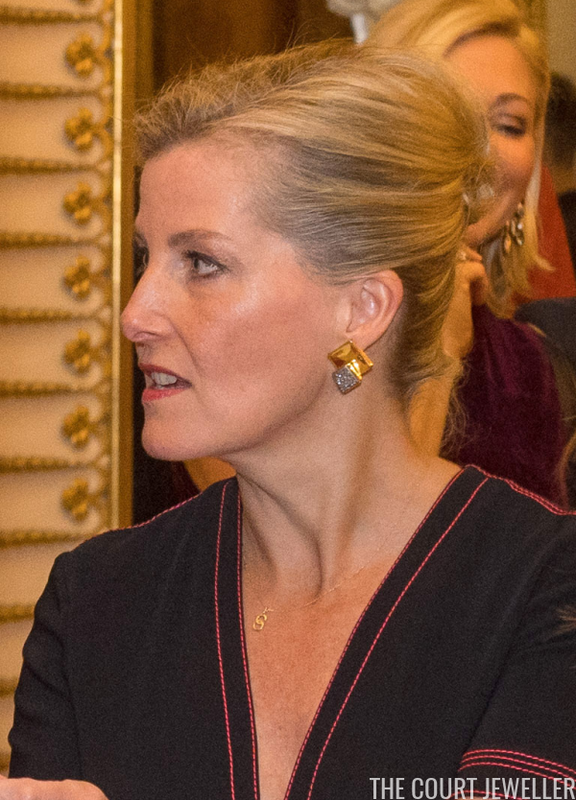 The annual banquet calls for full gala jewels, including the chain of the Order of the Elephant. 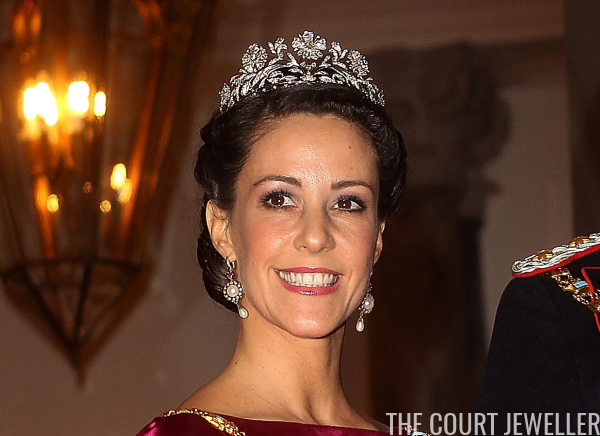 Here's a look at some of the different ways Marie has styled her jewels and tiara (which so far has always been Princess Dagmar's Floral Tiara) for the annual event. 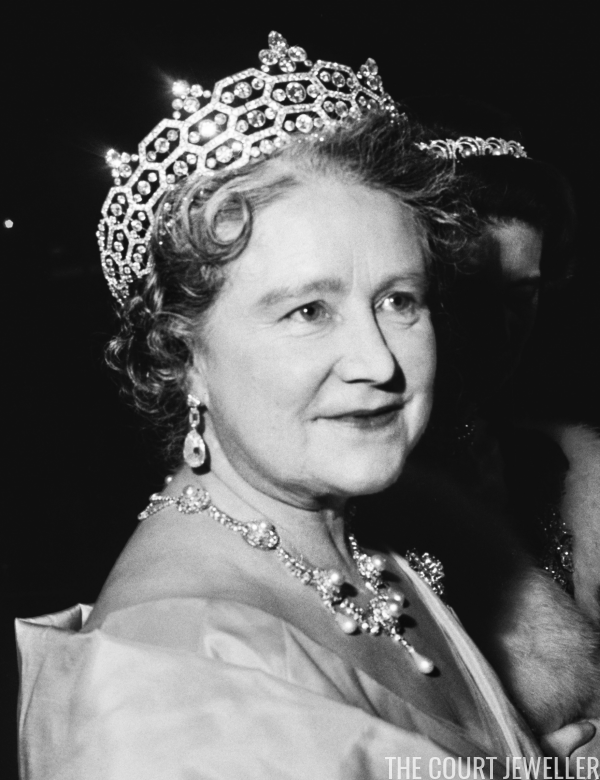 Queen Elizabeth the Queen Mother wears the Greville Tiara with the Greville Peardrop Earrings and Queen Alexandra's Wedding Necklace, November 1964; more on the tiara over here! 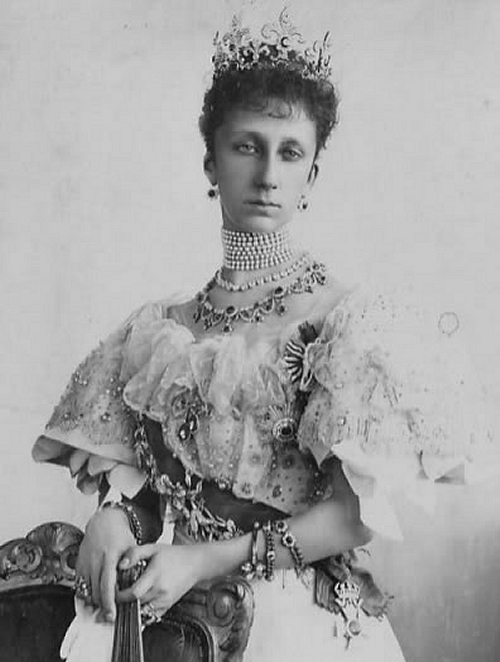 When Princess Maud of Wales married Prince Carl of Denmark in 1896, she received a treasure trove of jewels. At that point, though, she had no idea that her wedding gifts would one day become the cornerstone of a new royal collection. 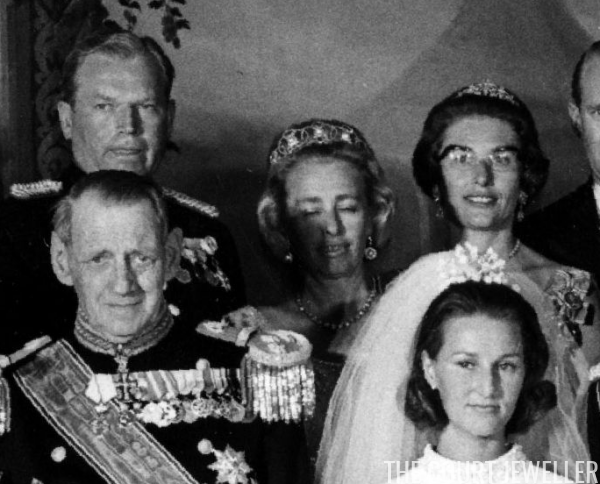 Carl and Maud became King Haakon VII and Queen Maud of Norway in 1905, and her jewels are still some of the most important pieces in the Norwegian vaults. Today, we're looking at one piece in particular: the Drapers' Company Brooch. 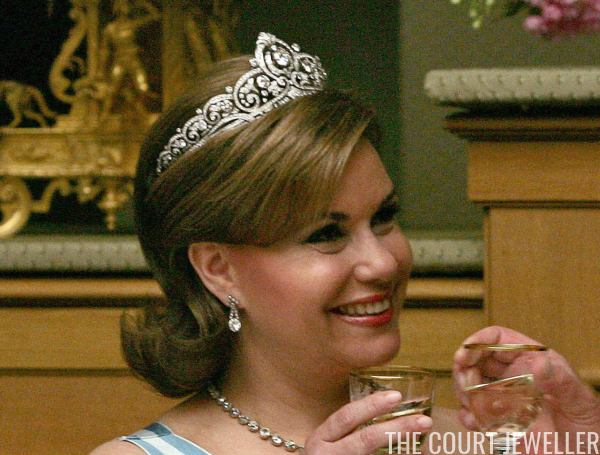 Queen Mary of the United Kingdom wears the Boucheron Loop Tiara in a formal portrait; read more about the tiara over here! 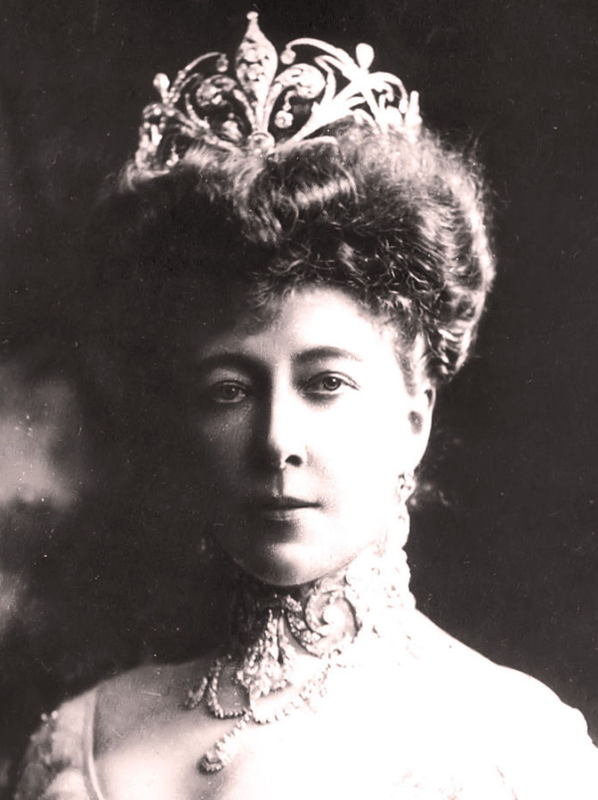 The Dutch royal vaults are absolutely brimming with tiaras, but today's deceptively-simple sparkler, Queen Emma's Diamond Tiara, has been treasured by the women of the family for more than a hundred years. 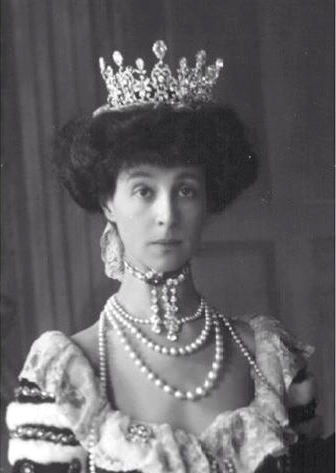 Consuelo Spencer-Churchill, Duchess of Marlborough (born Consuelo Vanderbilt; later Consuelo Balsan) wears her diamond tiara by Boucheron for during the coronation of King George V and Queen Mary, 1911; read more about the tiara over here! 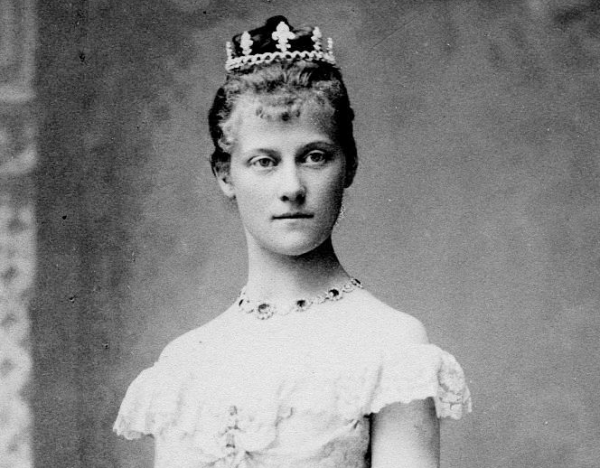 Although much of the jewelry favored by our Magpie of the Month, Princess Marie of Denmark, fits with her French chic style, her jewelry box also includes a few glittering pieces. Today's brooch, a multi-gem jewel that she's had for several years, certainly fits that description. 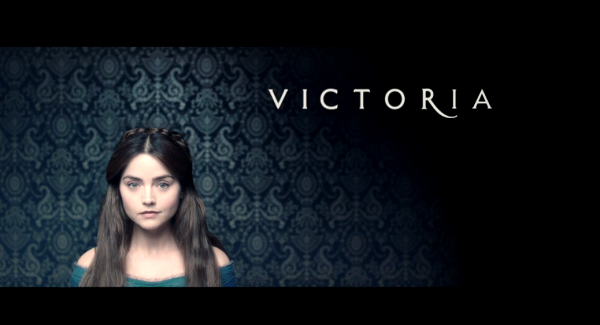 Time for another glimpse into the soapy royal world of Victoria! Before you dig in to our recap of the eighth episode of the season, "The Luxury of Conscience," you can catch up on previous recaps here! 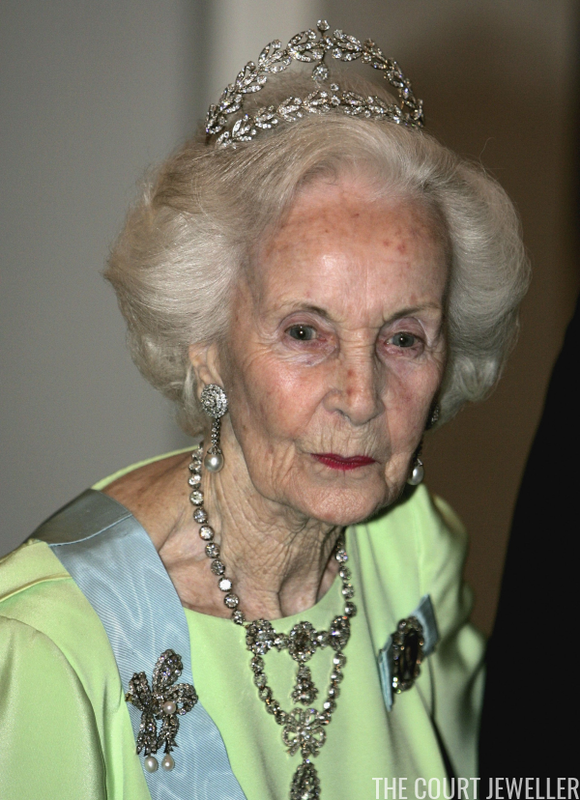 Princess Lilian of Sweden wears the Boucheron Laurel Wreath Tiara and Queen Josefina's Stomacher Necklace at King Carl XVI Gustaf's 60th birthday celebration, April 2006; more on the tiara here, and on the necklace here! 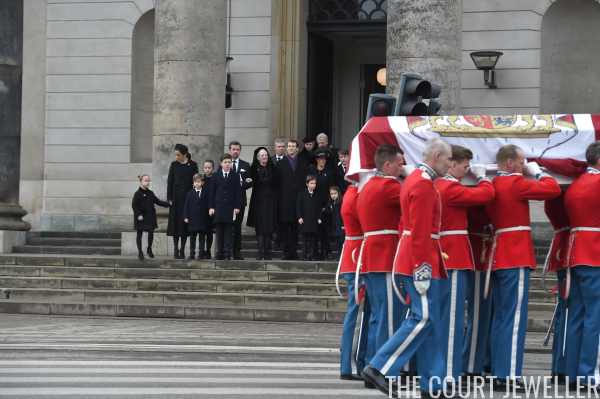 A small private funeral was held on Tuesday to celebrate the life of Prince Henrik of Denmark, who died last week at Fredensborg Castle. 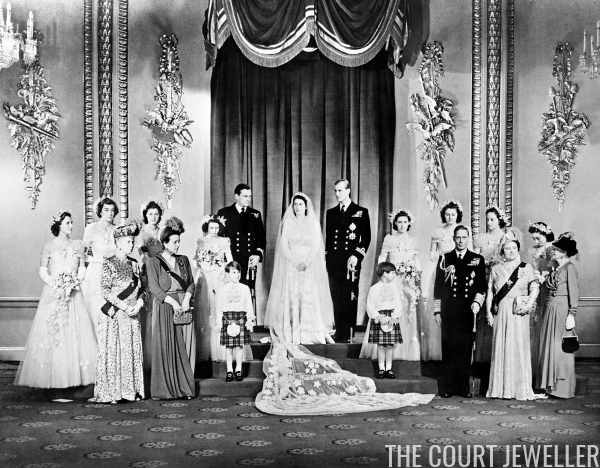 The jewels worn by the women of his family for the occasion were deeply meaningful and sentimental. 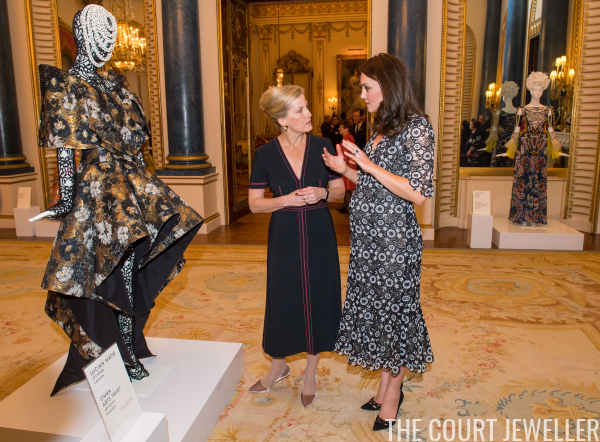 The Countess of Wessex and the Duchess of Cambridge made a joint appearance at Buckingham Palace on Monday as they hosted the Commonwealth Fashion Exchange Reception. 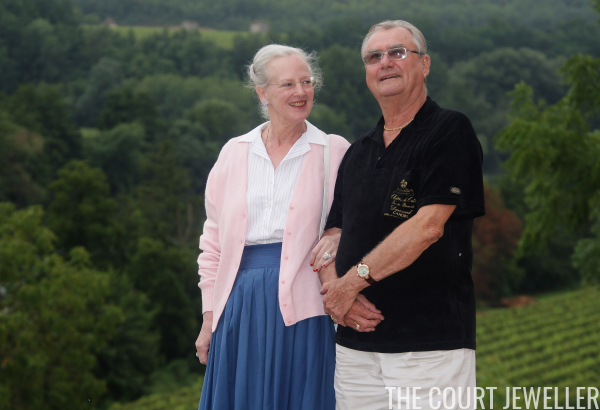 Today, the Danish royal family will hold a funeral for Prince Henrik, husband of Queen Margrethe II and father of Crown Prince Frederik and Prince Joachim. 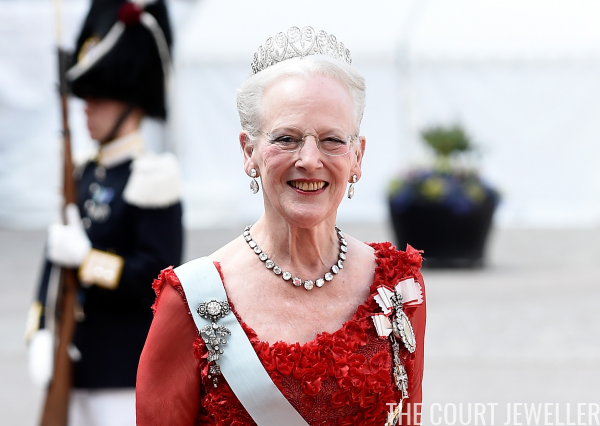 To remember Henrik, I thought we'd highlight the jewels that Margrethe wore during their yearly holiday at their home in the south of France, the Chateau de Cayx. The photos capture Daisy and Henri, the couple behind the trappings of royalty, and the jewelry is equally personal. 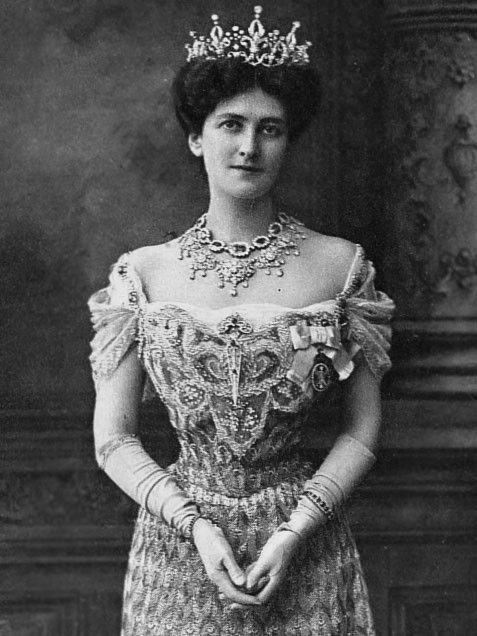 Mary Curzon, Baroness Curzon of Kedleston wears her diamond tiara, made by Boucheron, with her famed peacock dress, ca. 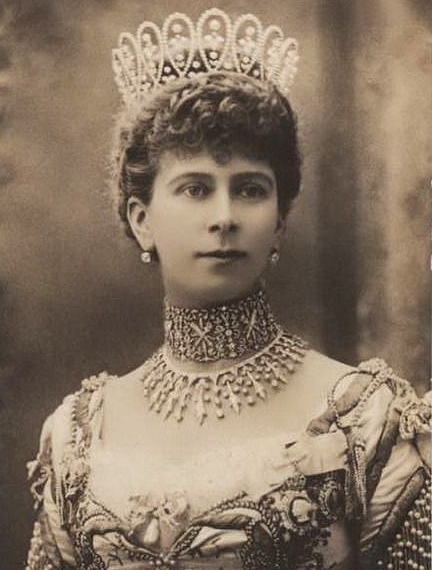 1902; learn more about her jewels over here! P.S. : looking for our weekly Victoria recap? It will be posted on Wednesday afternoon! 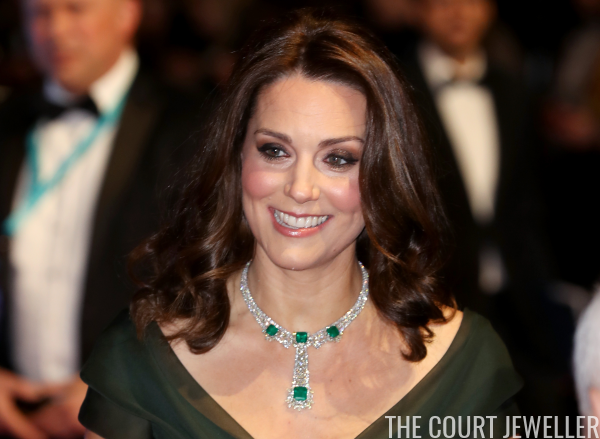 The Duke and Duchess of Cambridge attended the BAFTAs at the Royal Albert Hall in London on Sunday evening, and the occasion brought us a second outing for Kate's modern emerald suite. 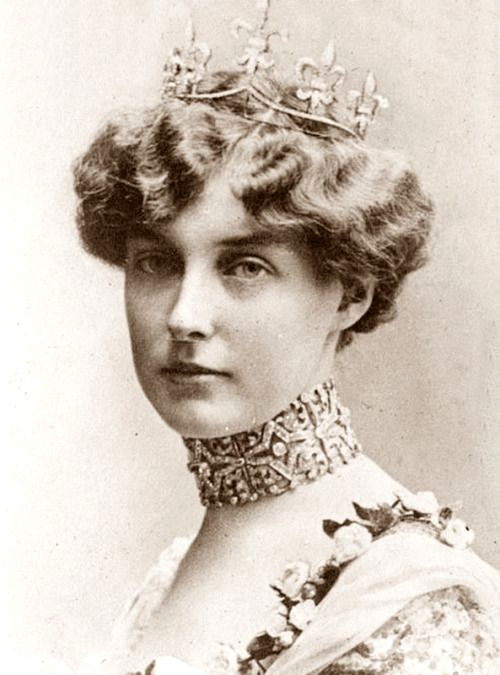 Queen Victoria Eugenie of Spain wears her fleur-de-lis tiara by Chaumet in a portrait, ca. 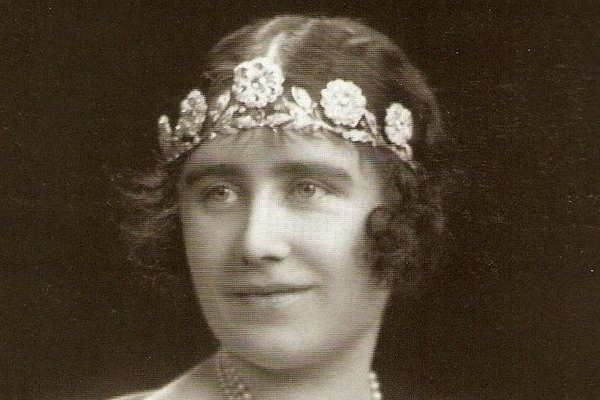 1920s; read more about this tiara over here! 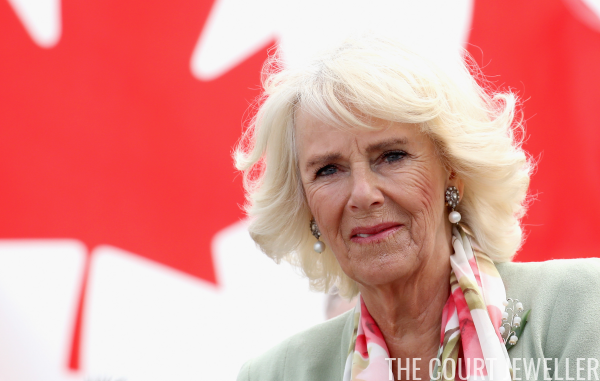 The Prince of Wales and the Duchess of Cornwall visited Yorkshire on Friday, and Camilla wore a regal new brooch for the occasion. 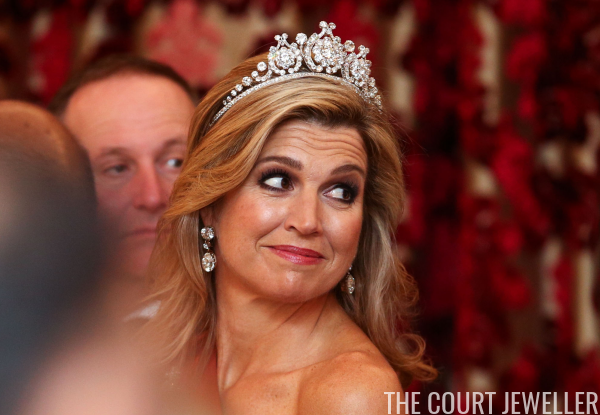 The Belgian Scroll Tiara is one of the loveliest jewels in Luxembourg's vaults, but it narrowly escaped the auction block only a few years ago. 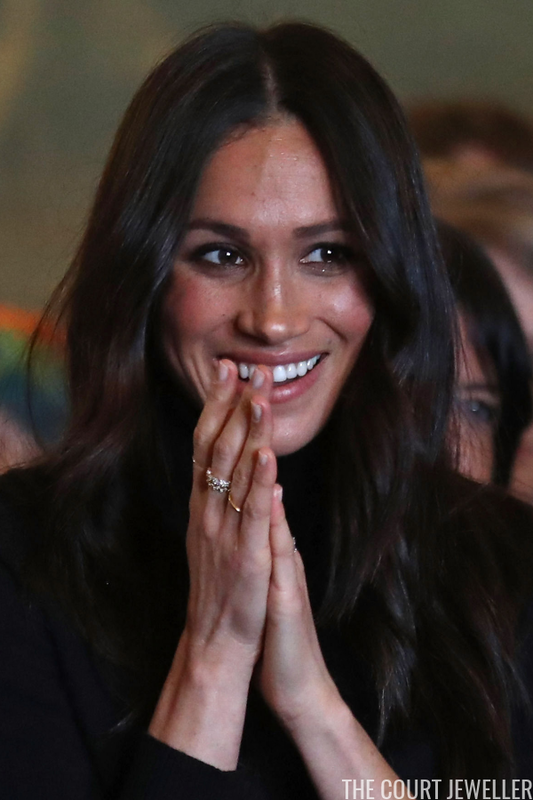 This week, I chatted with Town and Country Magazine about possible wedding tiaras for Meghan Markle, and in the interview, I mentioned that almost every British royal bride since the '30s has worn a wedding tiara. 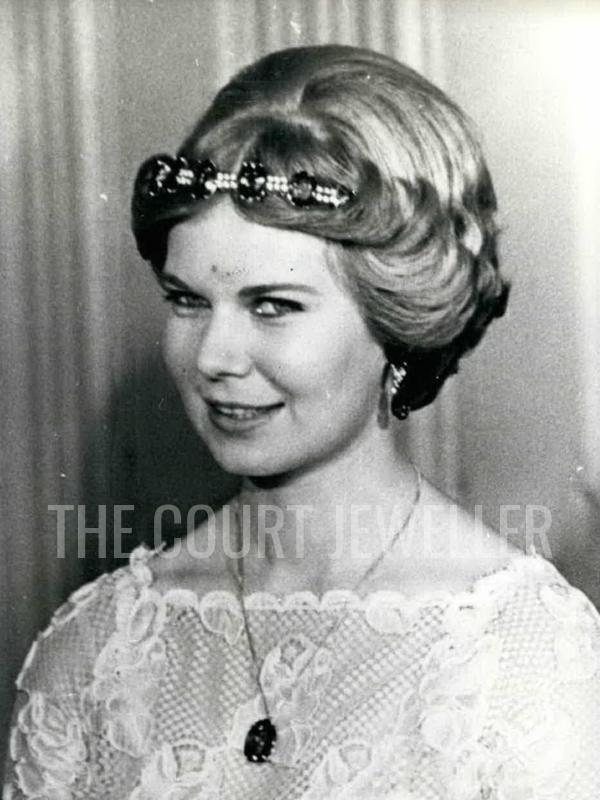 Here's a look at the bridal diadems of the Windsors! 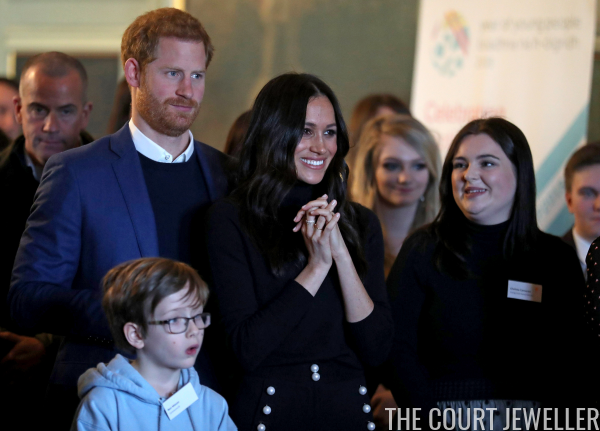 Prince Harry and Meghan Markle made a pre-wedding visit to Scotland this morning, attending a reception for young people at the Palace of Holyroodhouse in Edinburgh. 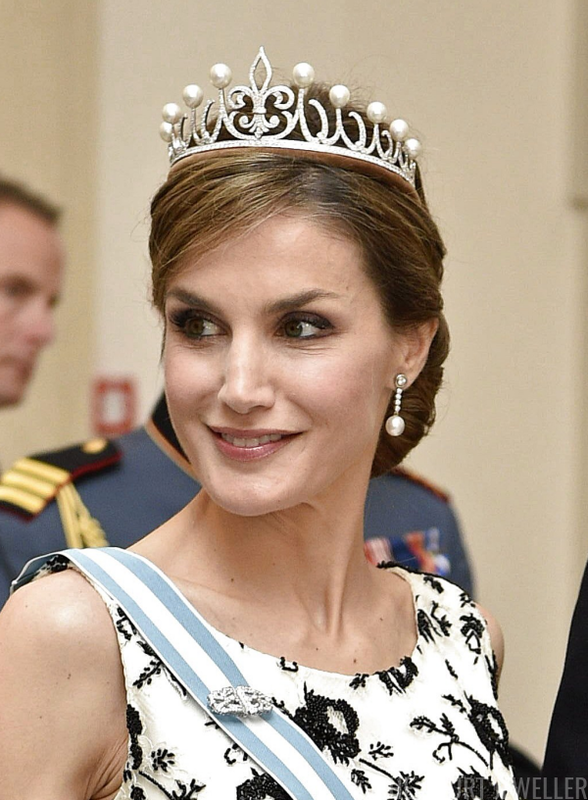 Queen Letizia of Spain wears her diamond and pearl fleur-de-lis tiara, created while she was Princess of Asturias by Ansorena, at Queen Margrethe II of Denmark's birthday dinner, April 2015; read more about the tiara's complicated story here! 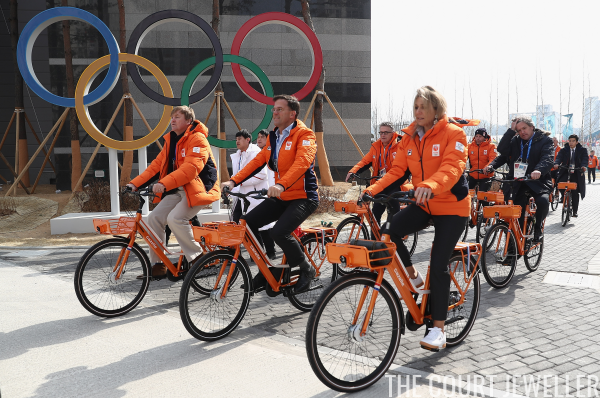 The Winter Olympic Games are underway in South Korea, and we've already had a couple of royal jewel sightings! 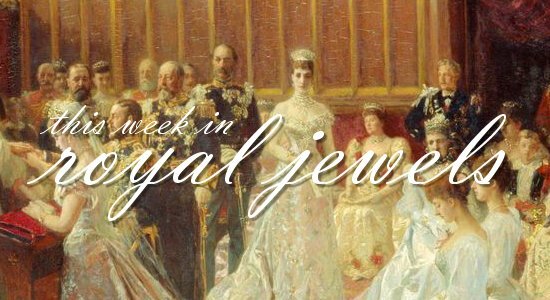 Time for more twisted history and costume jewels in this week's Victoria recap! Before you read my take on episode seven, "The King Over the Water," you can catch up on all our previous recaps here. 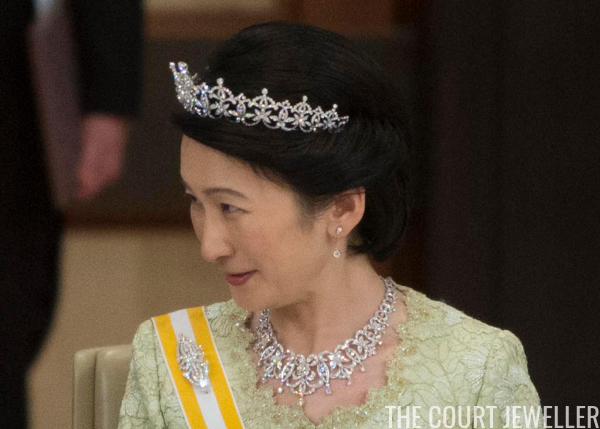 The Princess Akishino wears her diamond wedding tiara for the state banquet during the Spanish state visit to Japan, April 2017; more on the tiara here! 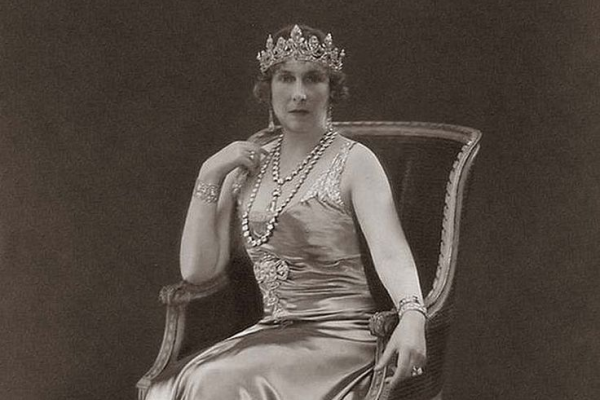 Our peek into the jewelry box of our Magpie of the Month, Princess Marie of Denmark, continues with a jewel worn by four generations of Danish royal women: Queen Alexandrine's Diamond and Sapphire Pendant. 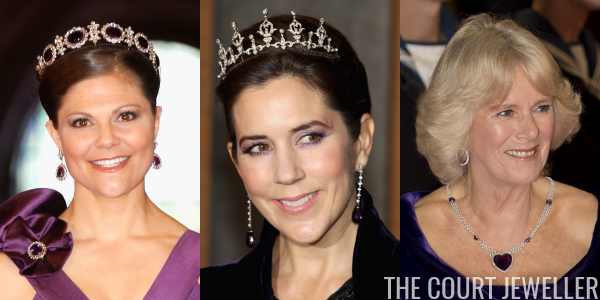 Crown Princess Mette-Marit of Norway wears the family's convertible amethyst tiara during the 70th birthday celebrations for Queen Margrethe II of Denmark, April 2010; more on the tiara over here! Some brooches are interesting because they're beautiful, and some are interesting because they have a fascinating story. 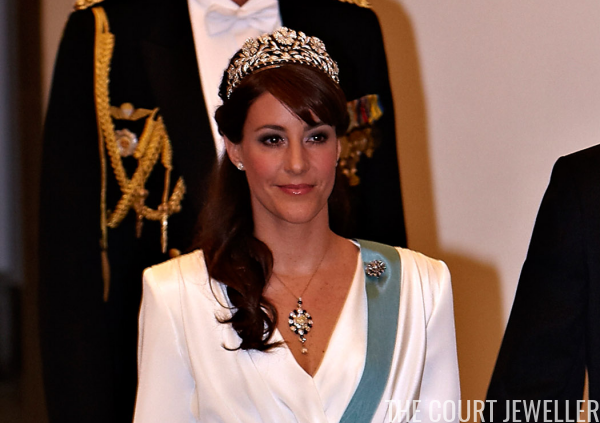 Today's brooch, the Fabergé Lily of the Valley Brooch that belonged to the late Queen Mother, is both. 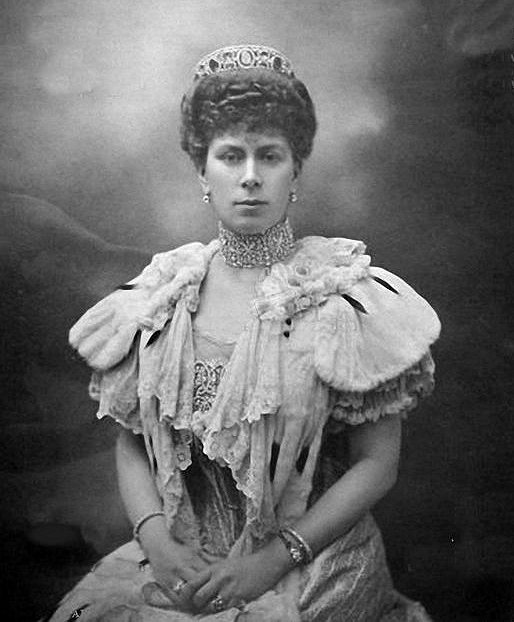 Queen Mary of the United Kingdom wears her amethyst tiara in a formal portrait; learn more about the tiara over here! 10. Queen Letizia of Spain wore her modern diamond jacket earrings on Wednesday for the proclamation of the arts and literature category winner of the 2018 Princess of Girona Foundation Awards. 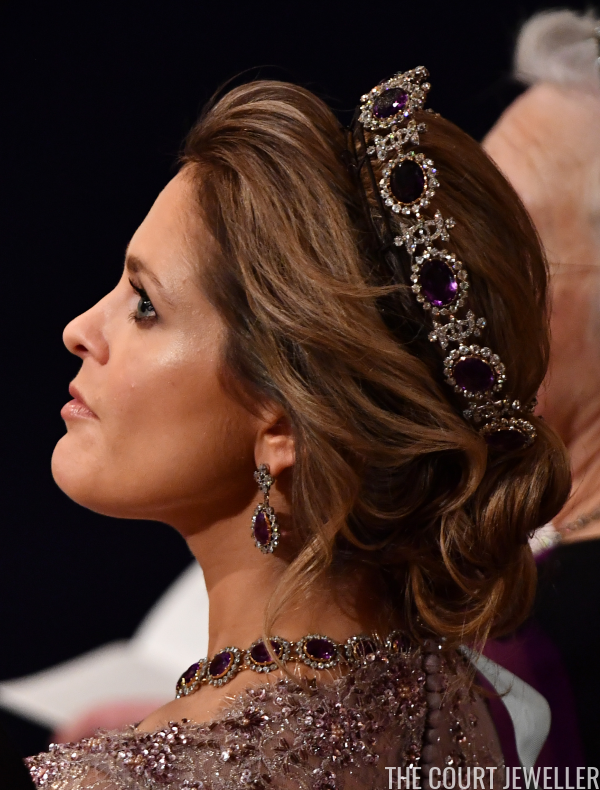 Princess Madeleine of Sweden wears the Napoleonic Amethyst Parure Tiara at the Nobel Prize Ceremony, December 2017; more on this appearance (and tiara) over here!